Reykjavik, March 28: Iceland's budget carrier WOW Air said it had ceased operations and cancelled all flights on Thursday, stranding thousands of passengers. The collapse of the troubled airline, which transports more than a third of those travelling to Iceland, comes after buyout talks with rival Icelandair collapsed earlier this week. "All WOW Air flights have been cancelled. Passengers are advised to check available flights with other airlines," the carrier said in a statement. "Some airlines may offer flights at a reduced rate, so-called rescue fares, in light of the circumstances. Information on those airlines will be published, when it becomes available." WOW Air to Offer an All Expense Paid Honeymoon Trip to Iceland This Wedding Season. Iceland's government said it estimated that 4,000 travellers were stranded, including around 1,300 currently in transit. At Reykjavik airport, hundreds of passengers were stranded as 30 WOW Air flights to Paris, New York, Montreal were cancelled. Two Portuguese tourists, Cristiana and Nuno Barrocas, were in Iceland as part of a trip around the world and rushed to the airport after hearing the news. "Our dream is to go around the world but the start of our adventure is turning out worse than expected," the couple told AFP after their flight from Copenhagen to Reykjavik was delayed on Wednesday. A 28-year-old Canadian university exchange student in Belgium, Charles Ouellet, was due to fly home to Montreal on a WOW flight via Reykjavik on April 3. "I'm going to see if I can get refunded," he told AFP. WOW Air, founded in 2011, exploited Iceland's location in the middle of the North Atlantic to offer a low-cost service between Europe and North America as well as tapping into a tourist boom to the volcanic island. However it had flown into financial trouble in recent years due to heightened competition on transatlantic low-cost flights and rising fuel prices, and had been searching for an investor for months. 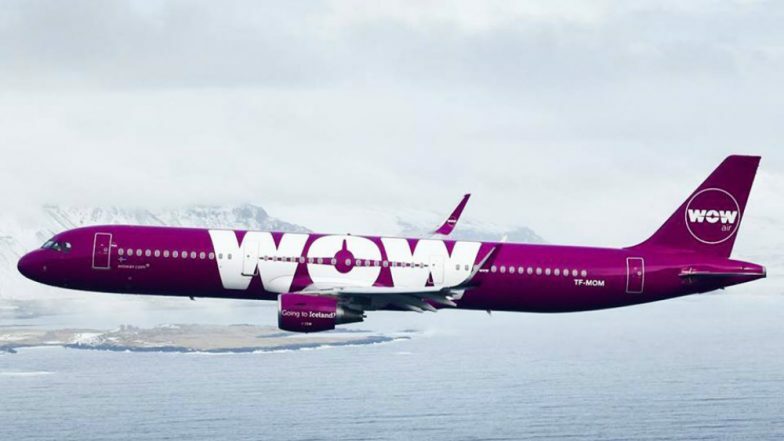 A report by a governmental work group has warned that a WOW Air bankruptcy would lead to a drop in Iceland's gross domestic product, a drop in the value of the krona and rising inflation. In 2018, WOW Air, which employs 1,000 people, transported 3.5 million passengers.